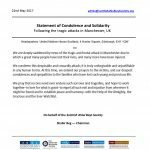 22/05/17 – Manchester – We are deeply saddened by news of the tragic and brutal attack in Manchester due to which a great many people have lost their lives, and many more have been injured. 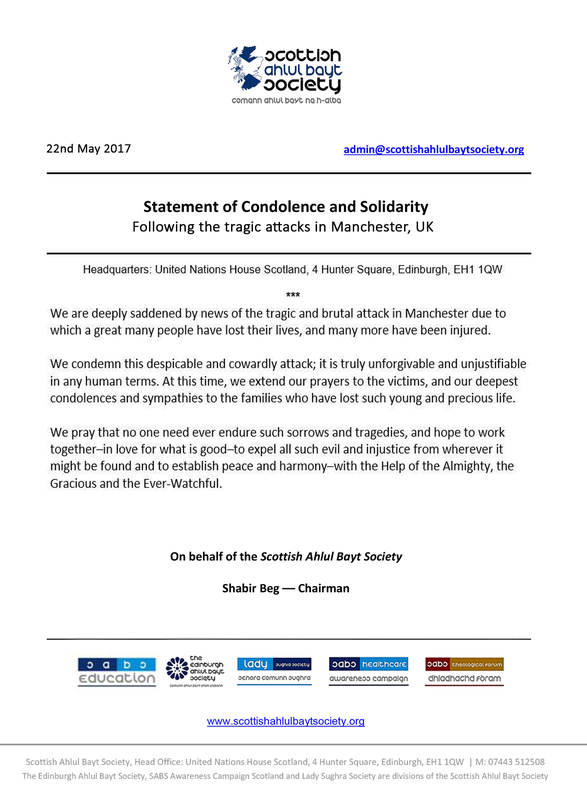 We condemn this despicable and cowardly attack; it is truly unforgivable and unjustifiable in any human terms. At this time, we extend our prayers to the victims, and our deepest condolences and sympathies to the families who have lost such young and precious life. 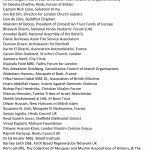 We pray that no one need ever endure such sorrows and tragedies, and hope to work together–in love for what is good–to expel all such evil and injustice from wherever it might be found and to establish peace and harmony–with the Help of the Almighty, the Gracious and the Ever-Watchful.